Do you live in the Albuquerque area? Setting your service appointment online has never been easier. At University Volkswagen Mazda we want to waste as little time as possible and we know so do you. Fill out our easy online form and select the dealership you would like to have your vehicle serviced at. Then sit back and relax because Mazda VW Service Center will handle the rest from here. Now serving the great communities of the Bernalillo County car and truck market. 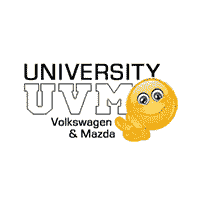 University Volkswagen Mazda	35.1598429, -106.5892032.